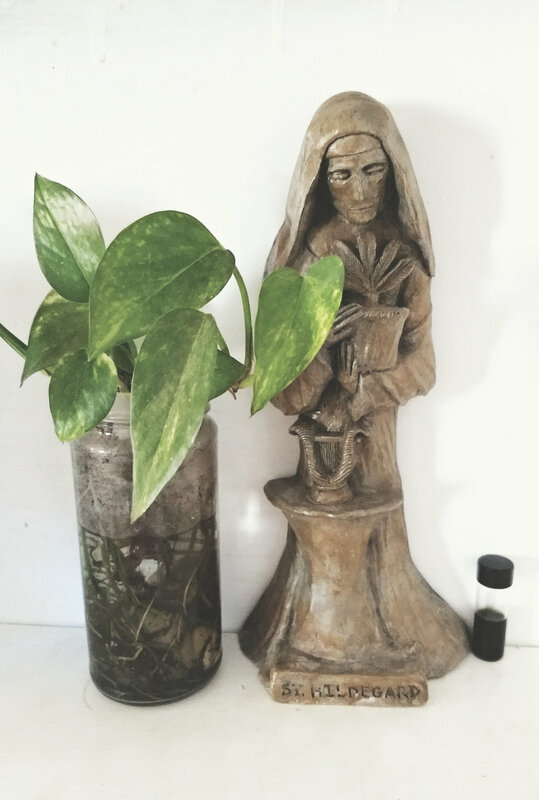 this odd thrift-store figure of Hildegard of Bingen. holding the plant she cares for. ready for voice, presence and praise. resting in some unseen pocket or sleeve. creative visions waiting to come to life. the strength of ritual worn daily.